Welcome to my website! 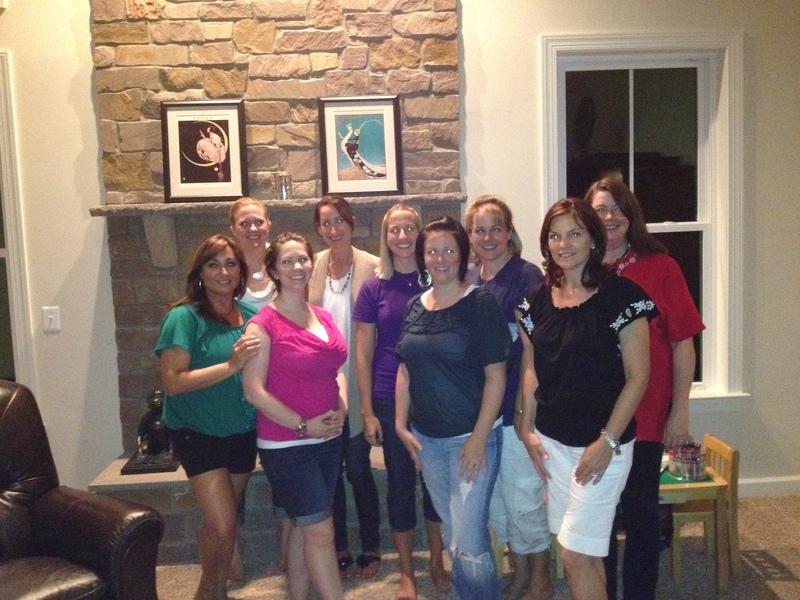 I’m thrilled to have this beautiful platform to update you on my upcoming books, post photos, and enter blog entries. About me: I was born in Phoenix, Arizona, and lived there until I moved to Oregon for college and graduate school. 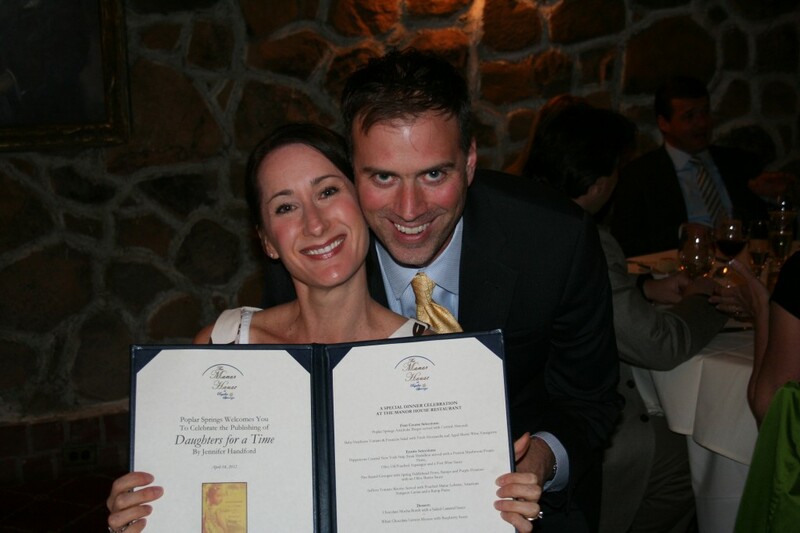 After graduation, I moved to Washington DC, and have lived in the area for fifteen years. I am married with three daughters. 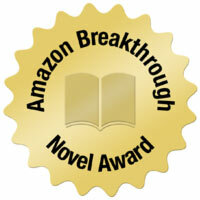 In 2010–on a whim–I entered my working manuscript into the Amazon Breakthrough Novel Award contest. To my total surprise, out of 5000 submissions, I became one of three first place finalists in this contest. From there, publication followed for my first book, Daughters for a Time. 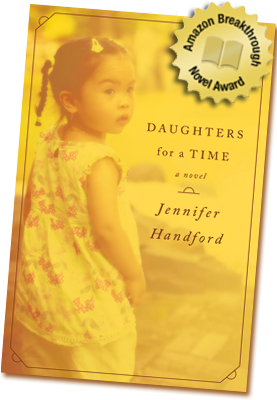 To date, Daughters has sold more than 250,000 copies, has been translated into German and Spanish, and has been nominated for the prize in fiction from the Library of Virginia. People Magazine hailed it as “A wrenching, resonant debut about cancer, infertility, and adoption.” While the press reviews have been exhilarating, the best part has been the mail from the readers, and meeting with the local book clubs. I have savored each and every communication from the readers. When Daughters for a Time was released in 2012, it never occurred to me that four years later, readers would still be enjoying this book. In the few years that followed, I tried my hand at teaching, first volunteering to teach memoir writing at a local private school, and then later, accepting the position of Professor of Writing at American University in Washington, D.C. 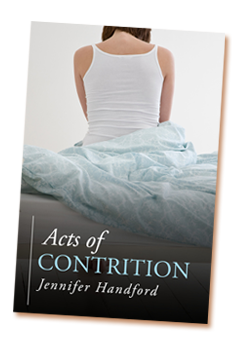 In April of 2014, my second book, Acts of Contrition, was released. People Magazine Online noted: “This swift, satisfying read…is like perching at the kitchen counter with your best girlfriend and best bottle of red—provided your BFF is a D.C.-area mom who’s a riveting storyteller.” Since this book’s release, I have had the honor of meeting with a number of book clubs. The conversation has been delightful and engaging. Acts of Contrition has been translated into German, as well. In the U.S., readers who have enjoyed Acts have posted lovely reviews. 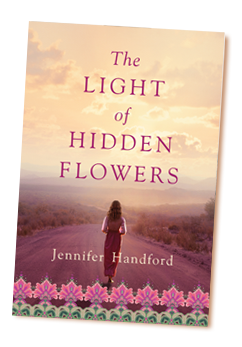 In November 2015, my third novel, The Light of Hidden Flowers, was released. 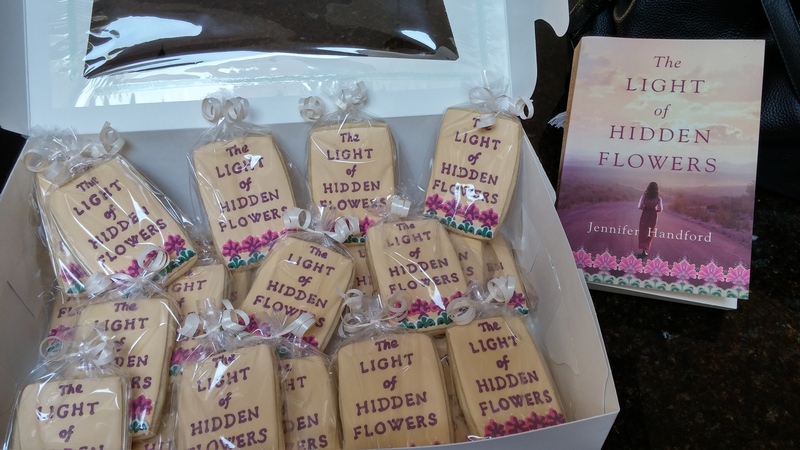 The Midwest Book Review noted: “A deftly crafted and deeply engaging story from beginning to end, The Light of Hidden Flowers is another superbly written novel by Jennifer Handford and very highly recommended for community library General Fiction collections.” This book is currently being adapted into a screenplay.